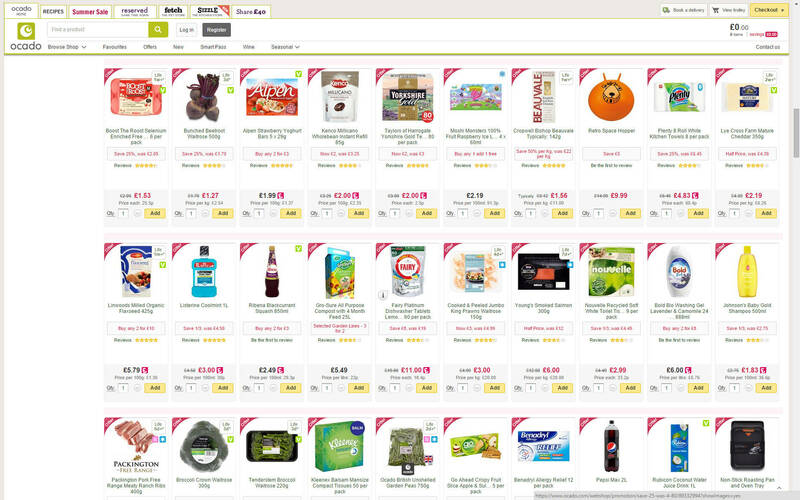 Ocado claims to be the world’s largest dedicated online grocery retailer. Ocado does not have supermarket outlets, and has focused on developing the best platform for online grocery retailing as well as the market leading logistics and physical infrastructure solutions. It says it is better equipped than its competitors: “Our peers’ use of existing assets (shops) or smaller warehouse-facilities (so called dark stores) does not afford them the same benefits”, states Steiner. Ocado has extended the selection into many general merchandise categories – for example pets, kitchenware, babies, the home, health and beauty products and gift items. Expansion of distribution channels into the non-food business started in 2013 with the pet platform “Fetch”. The customer survey data had shown that over half of Ocado’s customers own a pet, but only 20 % bought pet products from Ocado, the main obstacles being the lack of range, brands and awareness. The next step followed in 2014 by expanding distribution to the new household goods line “Sizzle”. A new distribution concept in cooperation with the magazine is highly innovative. A web shop under the name of the women’s magazine will offer beauty products. This business will be a separately incorporated company and will operate using the Marie Claire brand. It will be led by Amanda Scott, currently Head of Buying for Beauty and Accessories at “John Lewis” stores.